Home Sports & Outdoors How to Score Fish in Ice with Tip-Ups: Follow These Tips! Like any living being, fish need their fair share of food and oxygen. In different parts of a sea or lake, the amount of oxygen as well as food could be different. 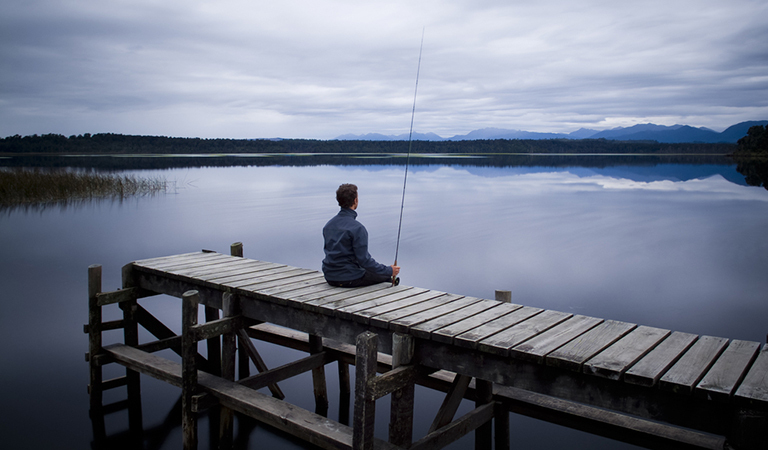 In the icy regions, due to the lack of oxygen and food, it could be difficult to catch fish for the avid fisherman. When people head towards these regions in the hope of catching fish, they often end up waiting for hours without seeing any sign of fish, leaving them utterly disappointed. To prevent this from happening, you need to be familiar with the right way and the right days of fishing with some effective and useful ice fishing tips. You can save time and win big using tip-ups. Tip-ups are often used by avid fishermen to catch multiple fish species from different places at once without physically being near the fishing spots. Did you know that you can make your tip-ups with a few simple tips and sheer determination? This article is here to help ensure that you are winning big in terms of catching different kinds of fish from the icy waters, using nothing but some cool ice fishing tips and your very own handmade tip-up! You’ll need to know a few things about fish behavior if you are aiming to become a fishing expert. Fish living in the shallow lakes often come closer to the coast or shallow regions because of limited oxygen in the deeper parts of the lake. Fish living in large deep lakes go deeper where it is slightly warmer. Overall, in winters fish do not tend to stay so active. So you should head out to icy areas in the appropriate times, which is usually the beginning of winter or the end of the season. These are the times when fish remain active even if ice is all around. You also need to know that fish have a good color vision and they can see up above. So whatever lure you use it should be above the fish. But if the water is shallow you could be visible to them and scare them away. Fooling fish, especially a swarm of fish is not so easy! You should also know that certain types of fish can be seen in icy waters. Each fish has its own unique feeding patterns. You should get accurate information on these feeding frenzies which occur at some very specific times. Some species actively stay in groups throughout the day while others tend to swim in groups only at dawn or sunset. Fish are more active when the weather is stable and their feeding frequency increases when there’s a new moon in the sky. 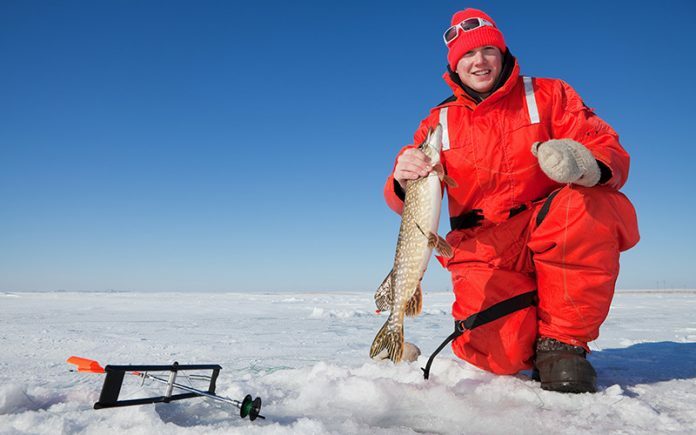 Now that you know a thing or two about fishing, here are some effective ice fishing tips that will help you score your coveted fish and impress everyone around you. Start with smaller lakes because they freeze faster. So if you are going on a trip to icy lands before the beginning of winter, your target should be small lakes and then you should progress to the bigger ones. Some fish are found in certain creeks and corners of lakes. Take maps and GPS systems to identify points, breaks, bumps and weed lines where you might be able to dig holes and find fish. Drill several holes with various depths around a particular area in the lake. If you don’t see any fish within fifteen minutes in any of the holes, try the next one. Use larger jigs to catch the aggressive fish species. Your jigs should not be more than one foot. If no fish is caught, use a smaller one. Try using live baits as much as possible for ice fishing, no matter if you are using jigs or tip-ups. You can use a flasher to view the moving fish and the depth of the hole you dig. Look for walleyes in shallow waters, especially during the early winter or late winter. During the midwinters, look for walleye fish in the middle of the lake where water is a bit deeper and warmer. Use swimming lures and flash spoons for jigging. There are some rods and reel combos that you can use for automatic jigging. Crappie fish are incredibly tasty. You can find them based on the timing of sunset and sunrise. Lighting conditions increase their movement and activity. In winters, crappie fish gather in the deeper part of the lake, so that’s the part of ice where you should start digging. You can use vertical jigs with live baits such as minnows when light levels are low. Horizontal jigs with live baits such as grubs should be used in daytime. The mouth of crappies rips very easily so be careful with the hook. If you have no clue about how deep the fish are, jig near the bottom first. If you do not see any, raise the jig up by a foot long. You can set up multiple rods, including one with a bobber. Sunfish are easier to catch. They are similar to crappie fish in terms of where they are found but they are more common in general. You can use vertical and horizontal jigs attached with live bait, such as waxworm or euro larvae. Perch fish are rare and highly sought after. They can be found in shallow and deep waters but will tend to be at the bottom when they are hungry. Perch spawn in shallow bay regions by the end of winter, so you can start looking for them there. Use flash spoons, horizontal jigs with minnows as baits or swimming lures as jigs. Muskies are aggressive and are usually found in the sunrise and sunset hours. Flash spoons and swimming lures are perfect jigs for muskies. You can use minnow heads as live baits or treble hook barbs. Lake trouts are also like muskies. Use minnow heads as live baits for jigs as well as treble hook barbs. Northern pikes are aggressive but can be found in almost any icy lake. You can find them in point, breaks and river mouths. The most common way of getting Northern pikes is tip-up fishing. As you can see, tip-ups are incredibly useful and a much-needed tool for ice fishing. As said earlier, tip-ups are usually used to catch Northern pikes. A tip-up is a small and simple contraption machine that points out a flag when a fish bites on the bait attached to the hook. Yes, it is that easy! Another advantage is that you can take as many tip-ups as you want; they are light, compact and portable. Place them near different holes that you dug out with your ice auger and wait to see when the flags are raised. A larger minnow bait increases the chances of catching a larger pike. 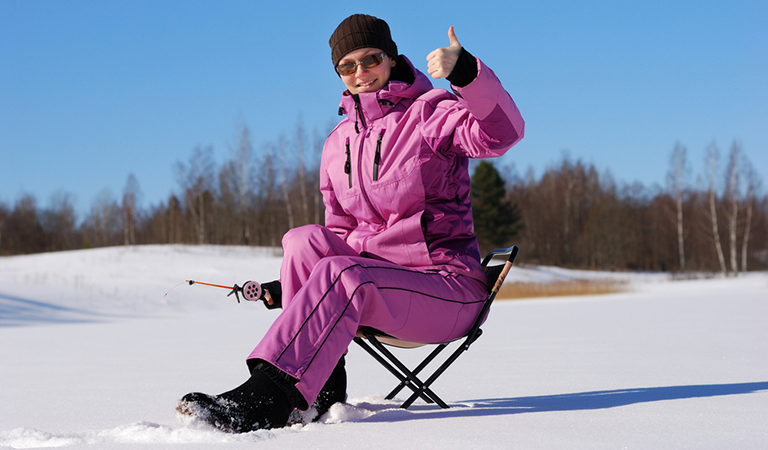 A lot of people have this misconception that when winter arrives, fishing is over. But that’s not true for the fishing enthusiasts because winter gives them something more than just fishing. 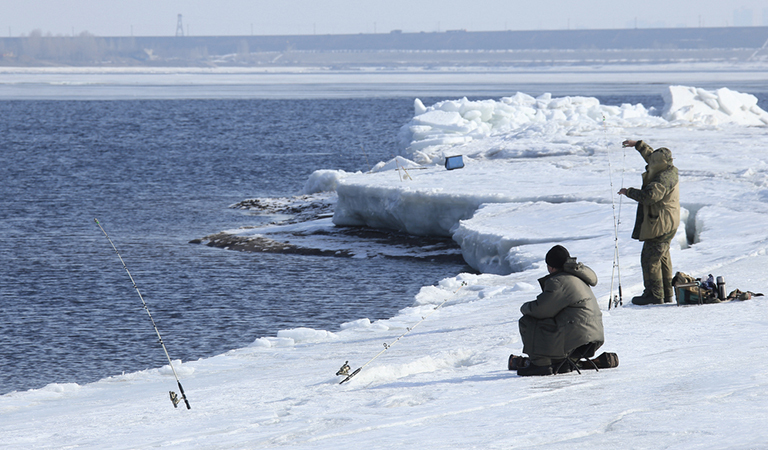 They get to do fishing in the incredible icy cold atmosphere and have a thrilling experience. They get to eat and try different kinds of fish, connect with nature and meet new people. The best lakes for fishing are in the Midwest America i.e. in Wisconsin, Minnesota, Michigan, North Dakota, South Dakota and Iowa. Do you want to miss out on that thrilling experience and sit back on your couch doing nothing? Do you really want to miss the chance of going on a long fishing trip with your family and friends? Think about it. Next articleWhy Should You Ditch Your Treadmill for an Elliptical Machine?